Get ready to celebrate the season as the holidays return to Magic Kingdom Park! Mickey’s Very Merry Christmas Party kicks off on tomorrow and you won’t want to miss all of the festive sweets and treats that our Magic Kingdom Chefs have cooked up this year. While most of these treats are exclusive to the party, there are three items that will be available daily from Nov. 9-Dec. 22. The first one is a holiday cinnamon roll. 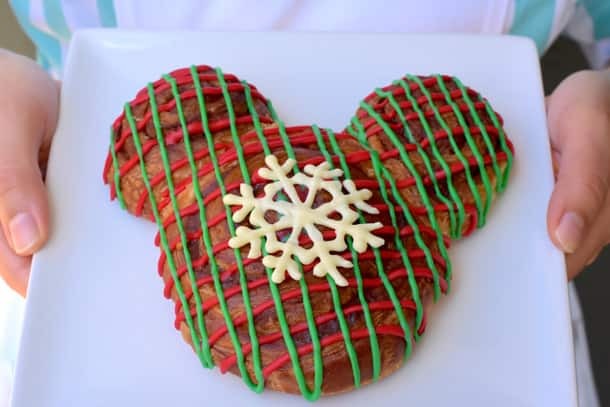 This Mickey-shaped treat is decorated with red and green icing as well as a white chocolate snowflake. 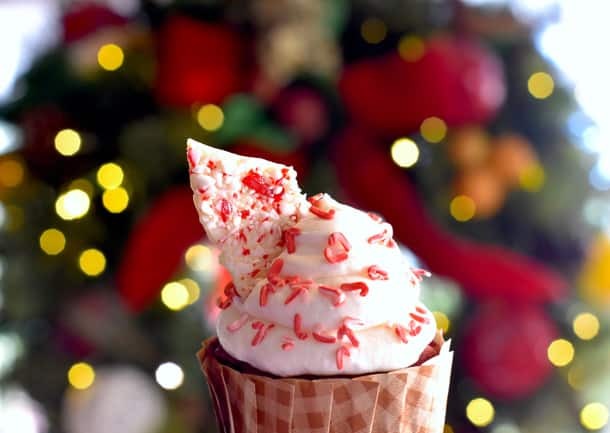 The second item available daily is a peppermint cupcake – a red velvet cupcake filled with peppermint mousse and topped with cream cheese, buttercream, peppermint sprinkles and peppermint bark. Both of these can be found at the Main Street Bakery. And the third item – a peppermint ice cream sundae available at Plaza Ice Cream Parlor and Storybook Treats. 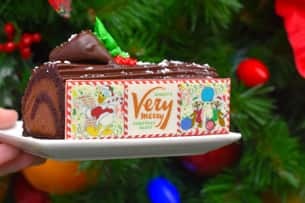 Exclusive to Mickey’s Very Merry Christmas Party, the rest of this list is sure to satisfy your seasonal sweet tooth, starting with some tasty Yule Log desserts! You’ll find the first at the Main Street Bakery; this Yule Log consists of white chocolate mousse, raspberry mousse, cassis pate de fruit and chocolate flourless cake. 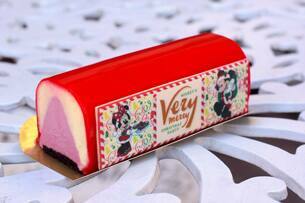 It comes covered with a red glaze, striped with white chocolate and topped with a garnish featuring Mickey and Minnie. The next Yule Log is at Pecos Bill Tall Tale Inn and Café, a chocolate cake with chocolate mousse and ganache featuring Chip and Dale and Donald Duck. And what’s more– both of these Yule Log desserts are gluten-friendly. 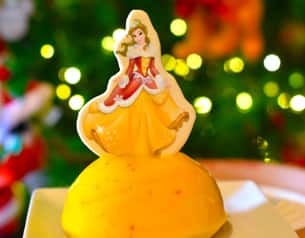 If you’re looking for more gluten-friendly options, over at Gaston’s Tavern, “Beauty and the Beast” fans will be excited to try this gluten-friendly Enchanted Christmas Belle Dessert. This flourless chocolate cake is filled with white chocolate peppermint mousse and covered in a yellow glaze with a chocolate garnish featuring Belle dressed in her holiday best. You’ll also find a gluten-friendly Tinker Bell Dessert at Cosmic Ray’s Starlight Café! This dessert consists of chocolate peppermint mousse, raspberry mousse, and dark chocolate mousse with a flourless chocolate cake bottom. It’s also covered in a green glaze and garnished with a chocolate piece featuring Tinker Bell. It looks like Sandy Claws is “Making Christmas” again with his new cake push-pop – available at Sleepy Hollow. He’s filled his dessert with layers of orange vanilla cake, cranberry cherry mousse, white crispy pearls, cream cheese buttercream and holiday sprinkles. 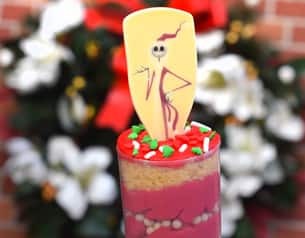 It’s also topped with a chocolate piece featuring none other than Sandy Claws, himself! And that’s not all, Sleepy Hollow will also be serving up decadent red velvet Mickey waffles with vanilla ice cream, caramel sauce and holiday sprinkles. 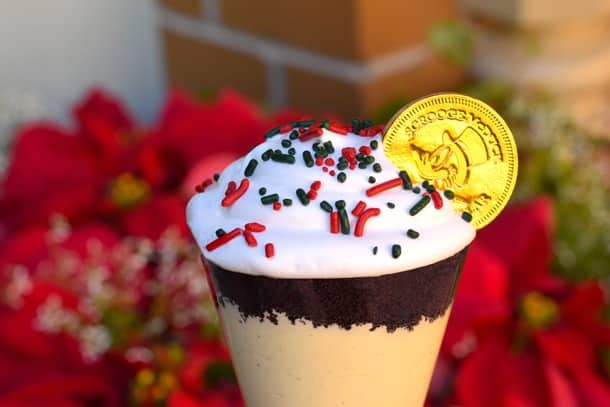 Finally, if you’re looking to get your egg nog fix, then look no further than Storybook Treats, where you’ll find an egg nog custard dessert, topped with spiced chocolate cake, meringue and an edible Scrooge McDuck gold coin. If you want to get in on the merry celebration and try all these delicious sweets and treats, then get your tickets today for Mickey’s Very Merry Christmas Party. This winter celebration takes place on select nights Nov. 9-Dec. 22 at Magic Kingdom Park and includes live entertainment, spectacular fireworks, and an oh-so-jolly holiday parade. Please say that DLR will get some type of Peppermint items too!! Fingers crossed. Will additional complimentary treats be gluten friendly or is it the standard GF chocolate chip cookies at all locations, plus the treats for purchase? Hi Jordan! There will be a selection of complimentary gluten friendly treats available at various stations throughout the park, including Silky Smooth Dove Promises, Sno-Cones, Apple Cider, and Sparkling Apple Cider. You can also request a gluten friendly option from the Cast Members at each location. Will peanut free treats be available as well? Will there peanut free or nut free treats? I feel people with nut allergies are sorely overlooked. Is there any way to access the ingredient lists for these items before the party? It would be so nice to be able to research what my children could eat before I walk all over the park only to find out it doesn’t meet our allergy requirements! That way I don’t have disappointed kids and I have more time to enjoy everything else! Thank you Disney for adding gluten free items for the holidays! 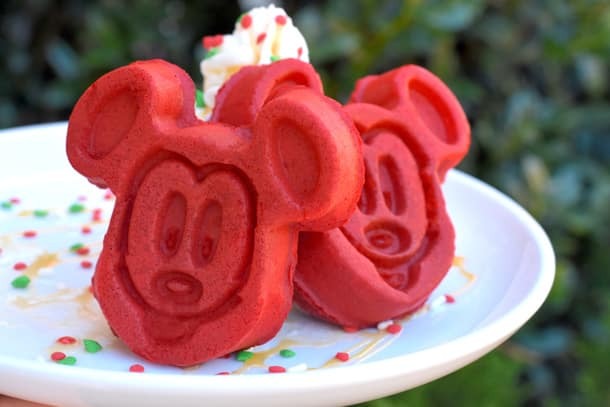 Will there be GF Red Velvet Mickey Waffles available? Thank you! Hello, Will there be Peanut and Treenut free treats available as well? We are coming to the Party and I have a 5 year that is going to be sorely disappointed if he sees all these delicious treats but can’t safely eat any. I’m going to add the chorus — will ANY of these delicious looking treats be safe for someone with Peanut Allergy? 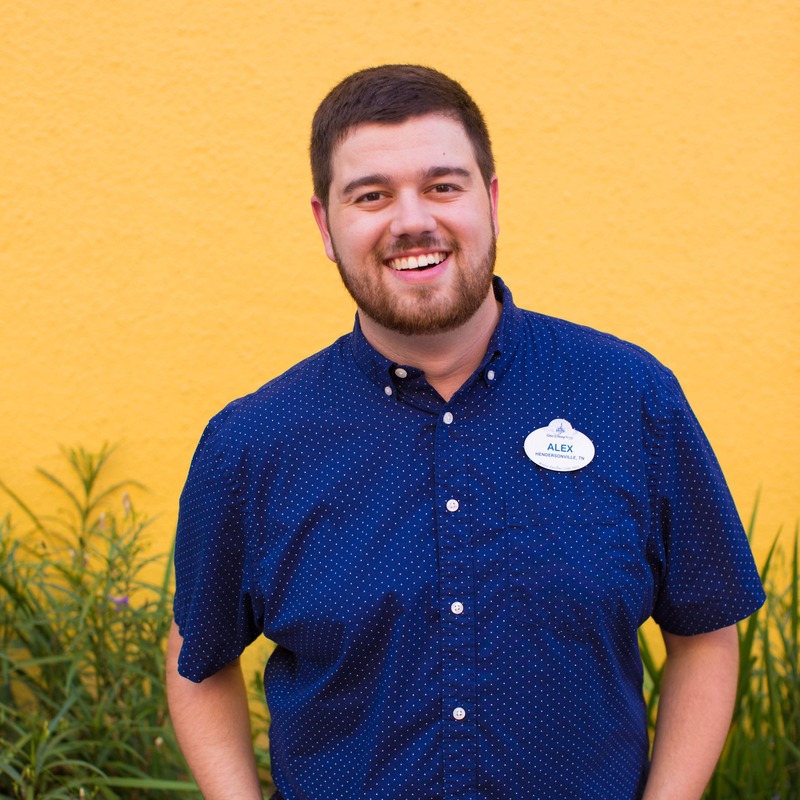 With Erin McKenna’s in Disney Springs and thousands of pn/tn allergic visitors every week, I can’t believe WDW doesn’t have the ability to provide or make some of these safe for those who pay the same price and get handed a dry, prepacked enjoy life cookie anywhere they go. 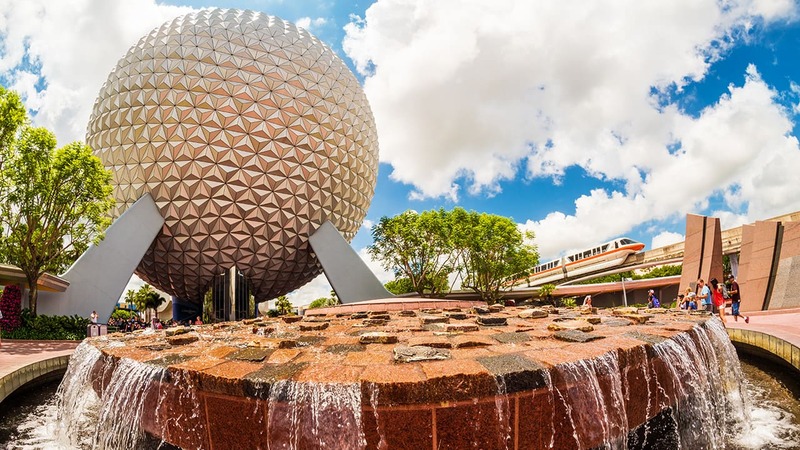 PLEASE know that I am so grateful for WDW for all it does for food allergic folks but with the crazy high numbers of folks with allergies who flock to the parks this seems like a no brainer. Also, is the HOT CHOCOLATE safe for PN allergic? Many thanks!